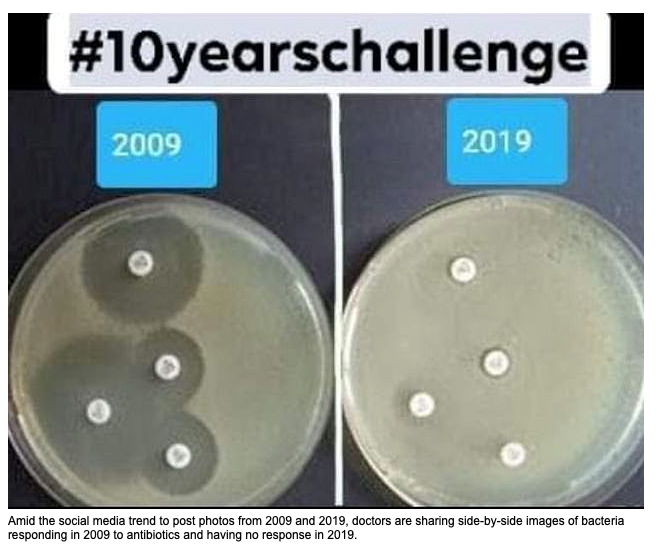 Dr. Kate Flavin MD in the UK recently posted online two pictures of bacteria growing in a Petri dish taken in 2009 and 2019. The picture shockingly shows the area of kill produced by antibiotics is nil in 2019 compared to 2009. (Graphic below — K. Flavin) Antibiotic resistance is said to pose a threat to health security and destroy economies. It is difficult to imagine a world without antibiotics. The discovery of penicillin in 1928 by Alexander Fleming, changed the course of medicine but also set the stage of the modern problem of antibiotic resistance. It only took four years after the discovery of penicillin for antibiotic resistance to become apparent. 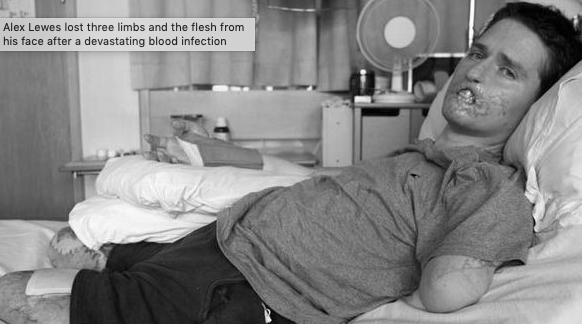 The growing number of lower limb amputations occurring among diabetic patients involve antibiotic resistant bacteria, producing horrific photos like the one below. The cell wall of these bacteria does not absorb the stain, meaning antibiotics don’t penetrate into these bacteria to effect a kill. 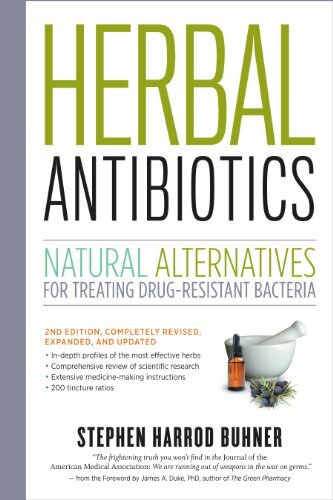 The problem of antibiotic resistance has forced modern medicine to explore the use of natural antibiotics.